Following up on our letter from April 20th, Debco Bag Distributors Ltd would like to remind you that we are voluntarily recalling the Tonal Thirst Mug known by the product SKU CM6531. We have you on record as placing an order for this product, and in the spirit of responsible partnership and accountability would like to work with you to bring about a complete and satisfactory resolution. The affected colours are white/black, white/blue, white/lime and white/red and were purchased between August 1, 2015 and April 11, 2016. HAZARD: In rare instances, the handle may break off posing a burn or laceration hazard to consumers. Wherever possible, these recalled mugs must be returned to Debco for disposal. Debco will cover the cost of shipping. Health Canada requests that all distributors who sold this mug within the affected time period contact their clients and advise them of this voluntary recall. Please be advised that Health Canada may take the action of contacting you or your client directly to ensure compliancy with this recall. In either case the questionnaire attached to this communication must be completed before compensation can be issued. Debco stands resolved in our commitment to our distributor-partners and their clients in this matter. We deeply regret any inconvenience this voluntary recall will cause, and pledge to make amends in the most fair and expedient manner possible. Q: Why is Debco Bag recalling the CM6531 ceramic mug? A: Debco Bag is recalling certain mugs because there is a possibility that the handle may break off when in use and potential burn/scald the user. Q: How can I tell if my mugs is affected by the recall? If you have purchased/received your mug between August 2015 & April 2016. If no, your mug is not being recalled. Q: Will I receive a replacement for my affected ceramic mugs? 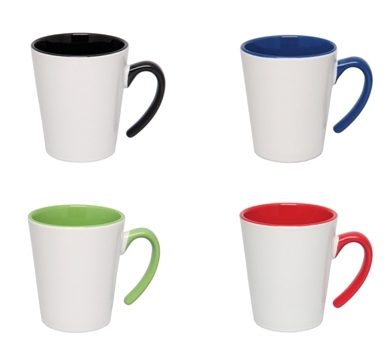 A: Yes, you will receive a ceramic mug of higher value, the CM9057 providing our questionnaire is completed. Q: And if I do not want a replacement? A: We will credit your order in full providing we received the detailed questionnaire completed by you. Q: Do I have to return my mugs? A: Should you have any leftover mugs available, they must be returned to Debco so that they may be destroyed. Please contact your distributor for details. Q: Will I get a replacement or credit even if I am unable to return my mugs? A: yes, providing you fill out a detailed questionnaire and return it to us. Q: How do I return my mugs? A: If it is determined that you have one of the mugs being recalled, we will send you a call tag so that you can return your mug and we will ship you a replacement mug. Q: Is it safe to use my recalled mug in the meantime before I receive the replacement mug? A: No, as a precaution please stop use immediately. Q: Have there been any reports of incident because of this recall? A: Yes, there has been one incident. Q: Where are the mugs manufactured? Q: Where are the mugs sold? A: The mugs are promotional products that were sold within Canada and the U.S.A.
Q: How many are being recalled? Q: If I bought it prior to August 1rst, 2015, is it subject to recall? Q: How do I contact you if I have further questions?